Virgin coconut oil means, oil extracted from well matured and fresh coconut meat (not copra) by mechanical or natural means. It’s best be obtained without using heat, does not undergo chemical refining, bleaching, or deodorizing, so as the oil’s essential properties, is well protected and preserved, as they were present in their original state in the coconut. 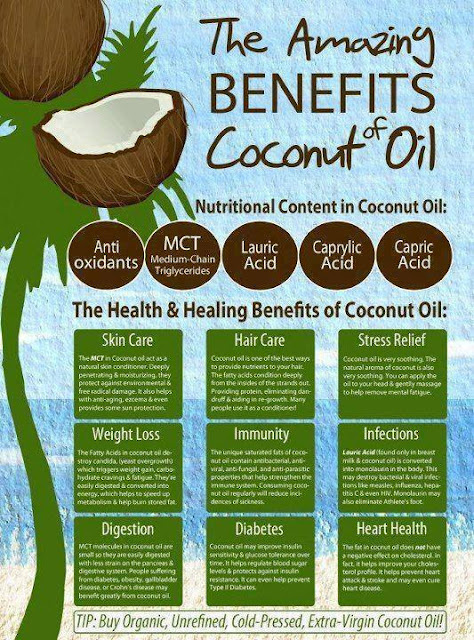 "Coconut oil is the healthiest oil on earth". Dr. Bruce Fife, a naturopathic doctor and the author of books like "Coconut Cures" and "The Coconut Miracle"